Socks, Sandbags & Leeches: Letters to My Anzac Dad is told by Ivy, beginning in February 1915, and ending in March 1919. 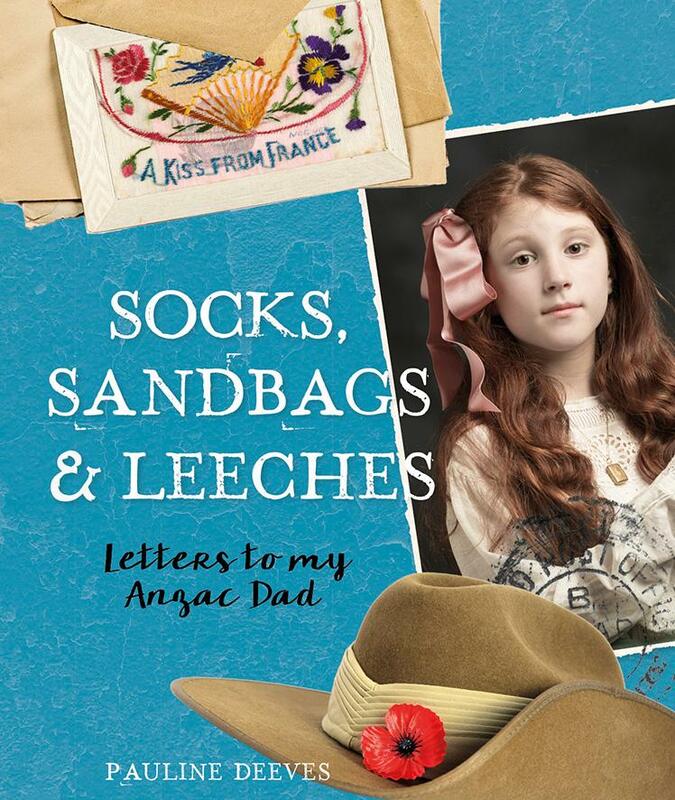 It captures thirteen-year-old Ivy’s hopes, fears, and curiosity, sharing what life was like on the Home Front during World War I, and what families in Australia learned about the war that was occurring so far away, yet having such an impact at home. It’s epistolic, with letters from Ivy interspersed with “scrapbook pages” with brief explanations of various aspects of the war and home life. These pages use original material from the National Library of Australia - posters, photographs, maps, newspaper articles and so on. Topics covered include joining the army, Cooee Marches, propaganda, the impact of war on the cost of things at home, fundraising for the war effort, health, entertainment, technological changes, conscription, war loans, and war memorials (many of which were begun before the war ended and were not limited to a statue). And so much more can be found in Socks, Sandbags & Leeches. Ivy’s letters highlight some of the things her father has written about and which have made an impression on her. We also get to know and experience a bit of Ivy’s life, and also meet her mum, aunts and uncles, neighbours like The Pests (three little boys) and Mr Wilson, her teacher Mr Johnson, and others. Clever little touches in the letters (like “We thought you were going to France, Dad. So why are you in Egypt?”) offer prompts to the reader to ask and answer questions of their own. The story ends with a careful segue into events in Australia after the war, in the form of Dad being quarantined due to the Spanish flu epidemic before he can head home, and female neighbours being forced to give their jobs to returned soldiers. It also comes with a one-page glossary and a comprehensive index. A list of illustrations includes links to the original material held by the National Library of Australia, making it perfect for further exploratory research by young readers and adults. Socks, Sandbags & Leeches is beautifully designed, visually appealing, educational without preaching, and highly recommended. It’s a gem of a book, packed with stories that have historical significance for us as individuals and as a country.